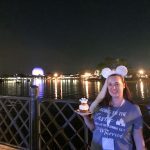 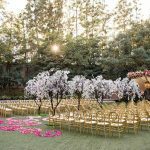 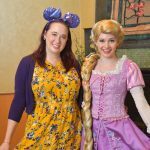 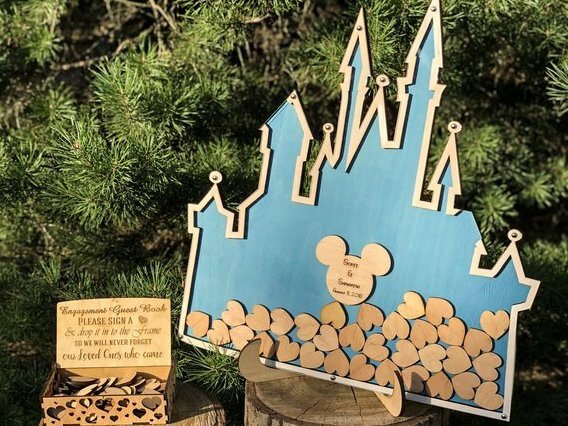 One of the best ways to relive the magic of your Disney wedding over and over again is with a clever and unique Disney wedding guest book! 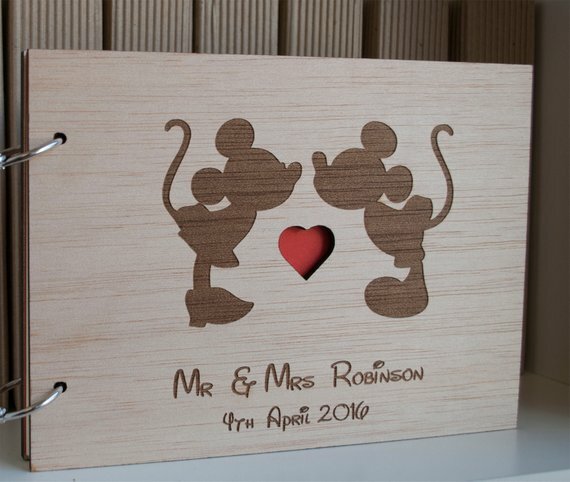 I love looking at our guest book and reading through the nice messages. 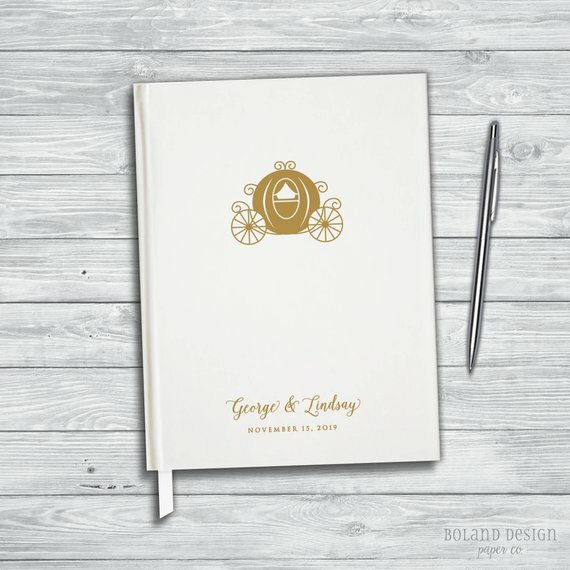 In fact, I look at our guest book more than our wedding album! 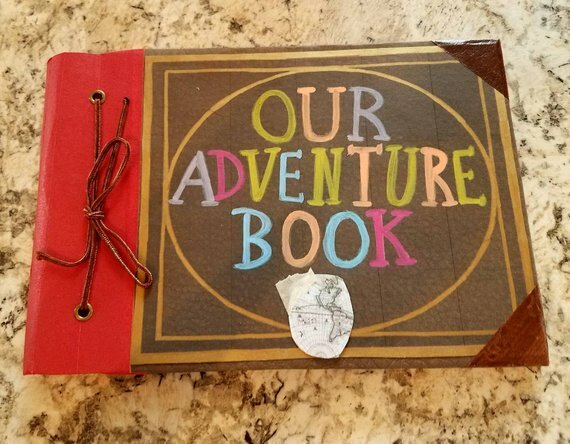 My mom actually had our guest book made through Blurb; she took some of our engagement photos and added Disney movie love quotes among the blank pages. 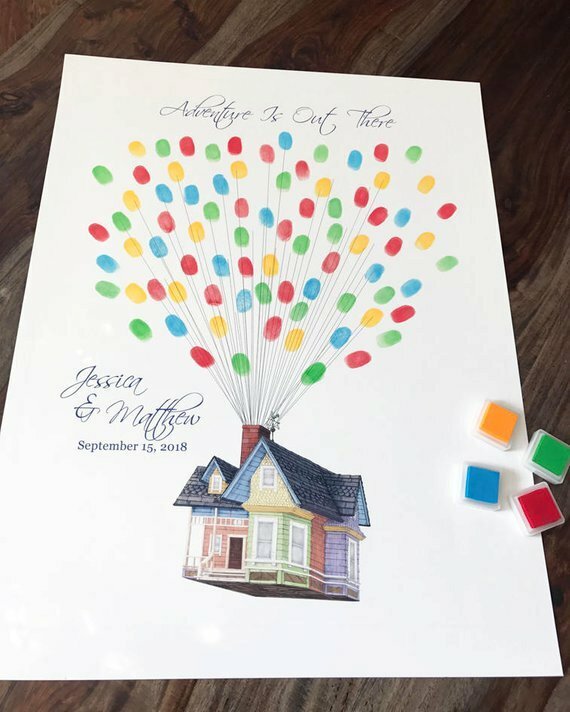 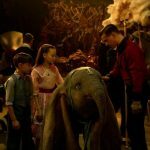 She did such a good job! 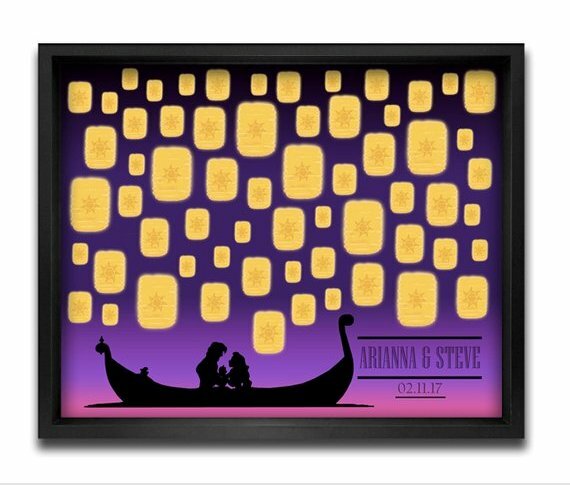 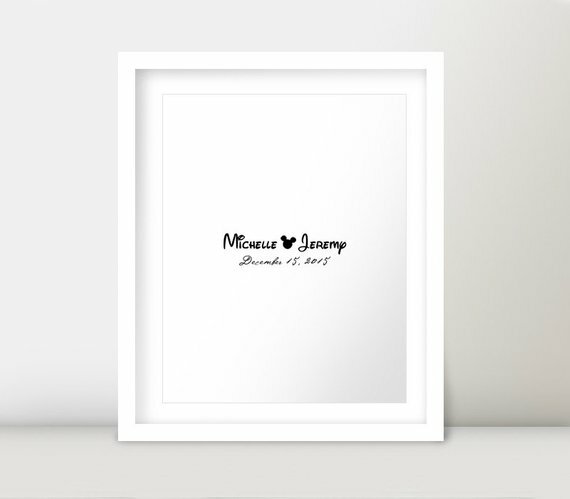 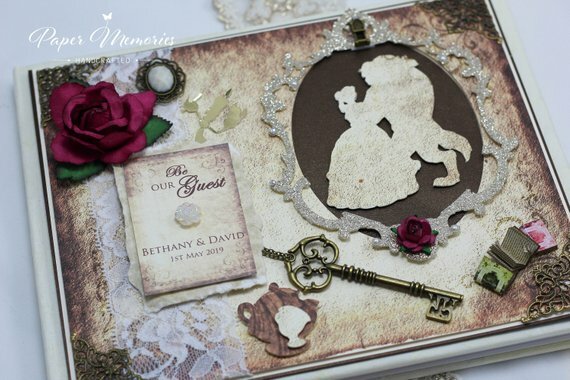 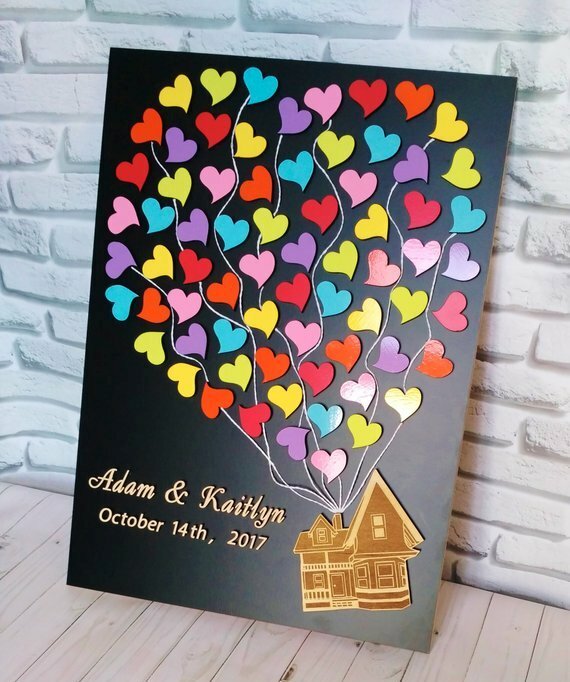 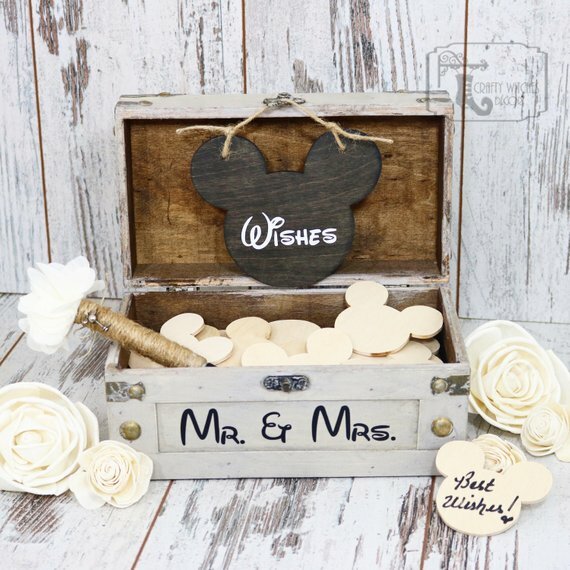 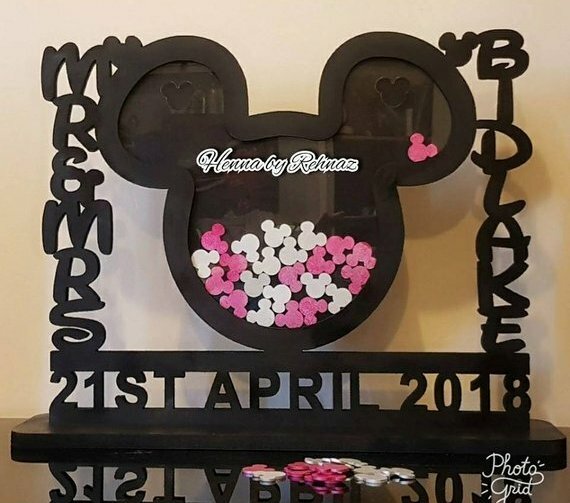 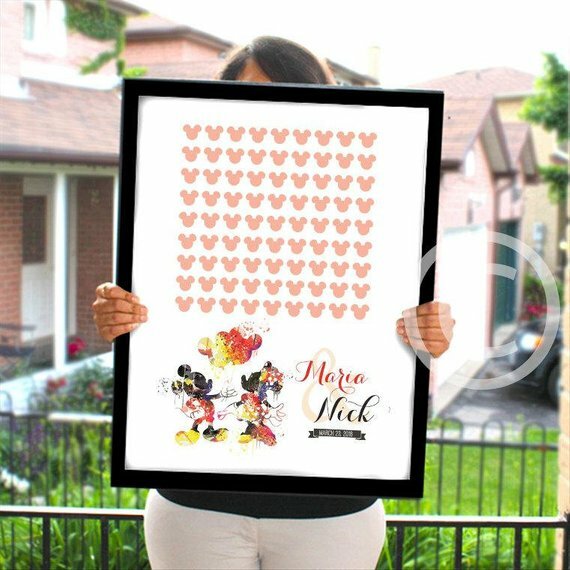 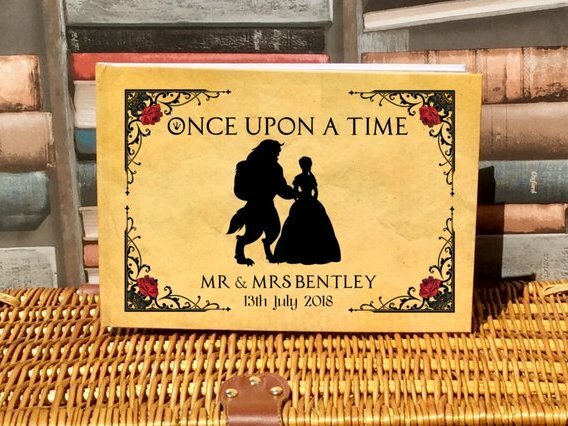 There are many, many cute Disney wedding guest book ideas out there, and most of them can be found on Etsy! 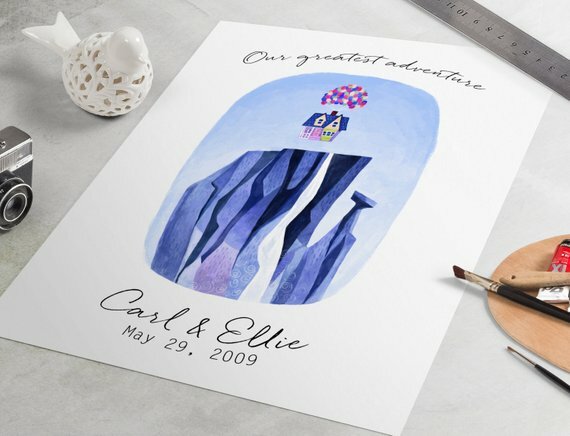 I love Etsy because it supports independent designers and small shop owners (like me!) 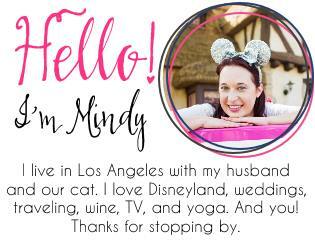 and you can find pretty much ANYTHING there! 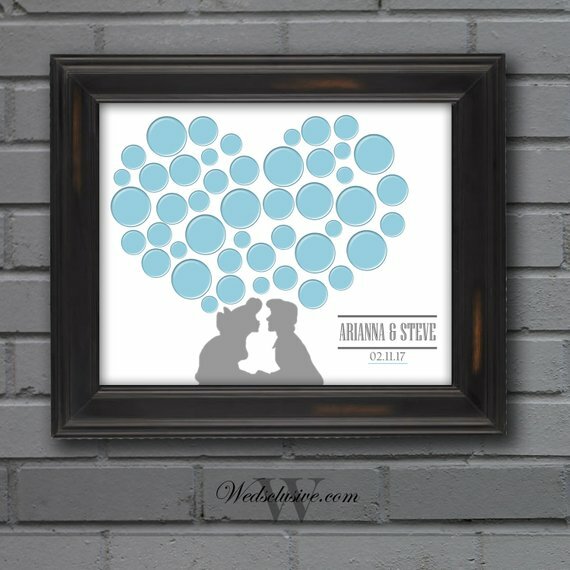 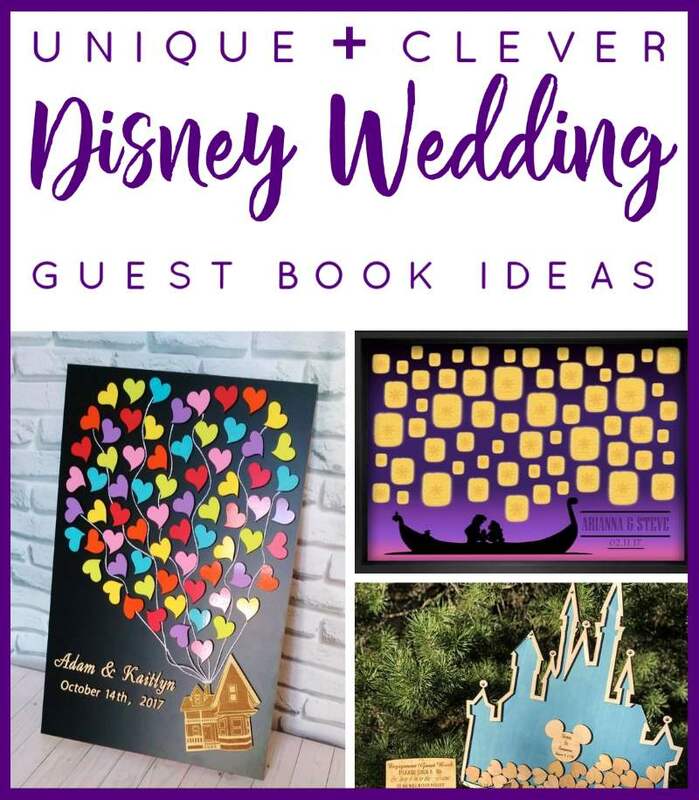 Here’s just a small collection of the Disney wedding guest books and book alternatives you can find on Etsy; they are some of my favorites!